JEFFERSON CITY, Mo. — Legislation establishing a grant program for the installation of broadband internet services in unserved and underserved areas in the Show-Me State is one step closer to become reality. 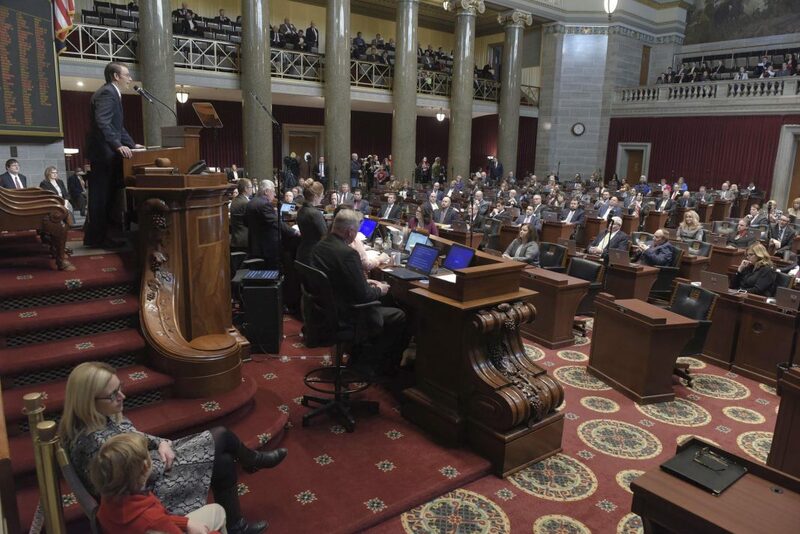 On Thursday, the Missouri House gave final approval of Rep. Delus Johnson’s HB 1872, which will enable corporations and organizations to apply for a grant within the Department of Economic Development to fund up to 50 percent of the installation of broadband infrastructure. The grants will not exceed $5 million. The one caveat to the bill, the money will only be available should it be appropriated. Roughly 61 percent, or one million people in Missouri, do not have access to broadband internet, according to Johnson. The bill is based on a successful rural broadband expansion plan from Minnesota. Supporters say the bill will help rural Missourian in business, agriculture, and accessibility. In an exchange with Rep. Justin Hill, Johnson walked through the logic and logistics of the legislation. The internet service providers that he talked to are extremely supportive of the grant program, according to Johnson. The way the bill is written, companies can apply for up to 50 percent funding for a project through the state and still apply for a grant through the FCC, potentially getting the complete cost of the project funded. Hill was curious if this program would slow down development in populated areas but Johnson said that was not the case. The bill has no effect on populated areas, according to Johnson. “The sole intent is unserved areas which are going to be your lower populated areas,” said Johnson. Gathering bipartisan support the bill was sent to the Senate in a 136-11 vote. Previous Previous post: Could Republicans move right-to-work vote to favor the party in November election?